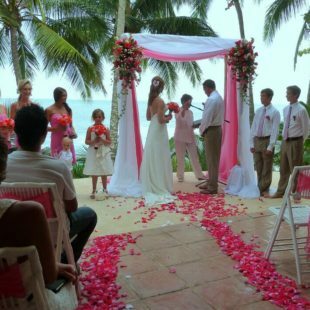 Last week we talked about beautiful inspiration ideas for a beach-themed wedding. 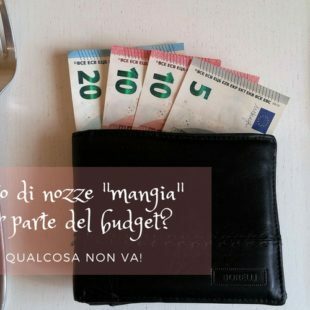 But perhaps some of you might be thinking: “Well, I am getting married in summer, BUT I don’t like a beach location for my ceremony!”. 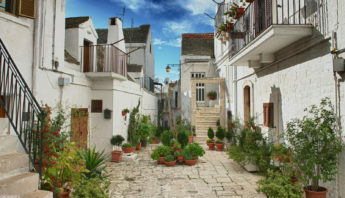 Well, it is true that Puglia has an amazing sea and a lot of great wedding venues on the beach, but also its countryside is wonderful and full of charm. 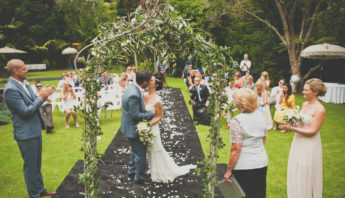 And it is also full of splendid masserie, that will be a perfect setting for your wedding ceremony and reception! And what about the wedding theme? Surely, one of the most beloved themes for wedding decor is the sunflower: this beautiful flower is a real symbol of summer, it makes immediately think about the sun, the bright colours of this season, but also the peace and calm of the countyside, with its simple but charming life. 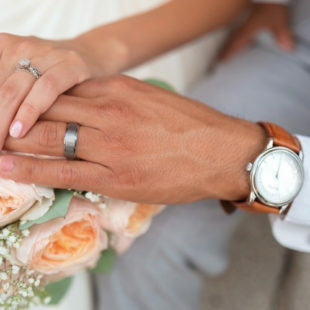 Let’s start with the protagonist of every wedding: the bride and groom! For him (but also for all the male members of the wedding party) a pretty bouttonière with a little sunflower; for the bride a lovely hairstyle with fresh flowers among the hair! All very simple but of great effect! 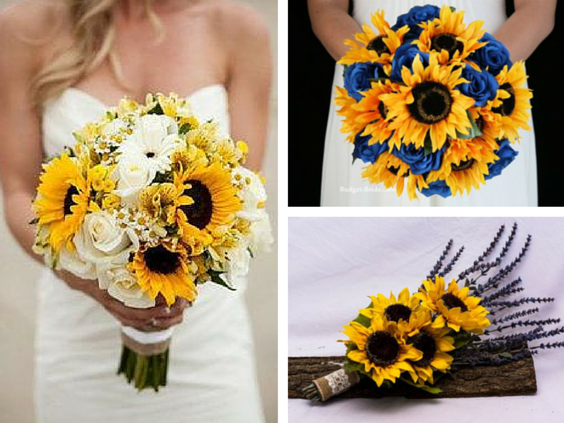 The bridal bouquet must obviously include sunflowers, but the options are many! You can choose a bouquet made only with sunflowers or have them combined with other flowers, obtaining different effects, depending on their colors and dimensions. Flowers with bright colors will create a vivid contrast, light colors will create harmony. 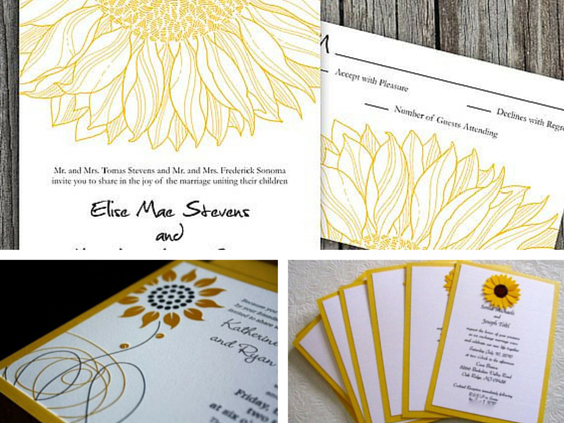 Sunflowers are a perfect element to personalize your wedding invitation and the whole wedding stationery. 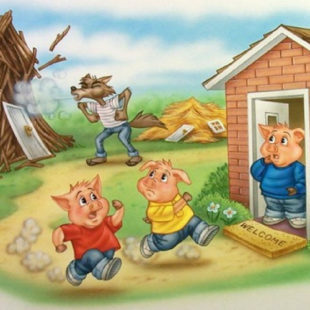 The drawing can be more realistic or more stylized, depending on the style you prefer: can you see from these examples how many different results you can have from the same starting idea? 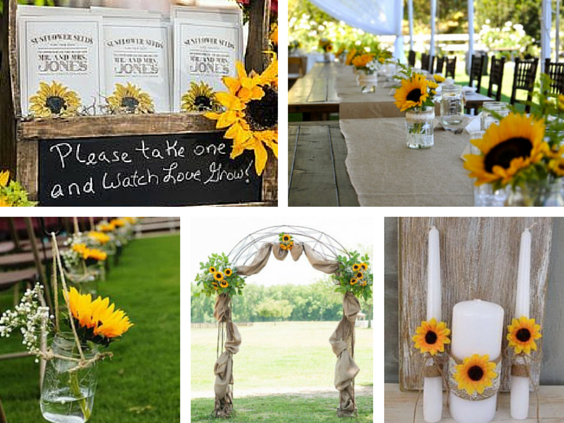 You can find hundreds of sunflower wedding ideas about the ceremony and reception decor. 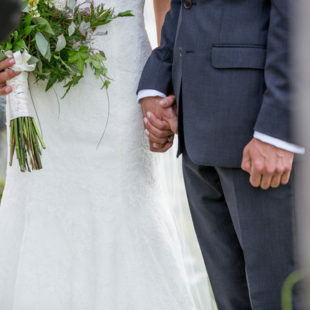 You can use it alone or together with other flowers to decorate the aisle and the arch for the ceremony, as well as the centerpieces. 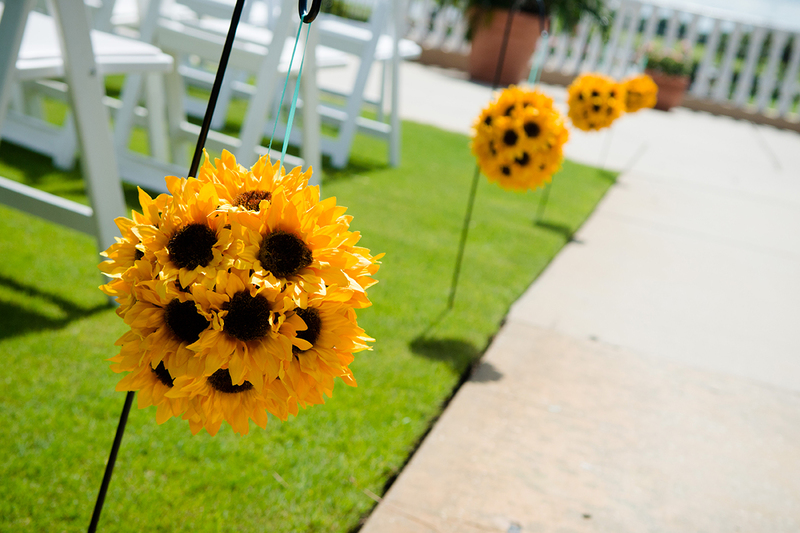 If you have a symbolic ceremony, you can use sunflowers to customize the candles or the other accessories you will use, as well as any other element that will be part of the decorations. Last but not least: the wedding cake! Also in this case, you can start from the same idea (the use of sunflowers) to obtain different results and effects. 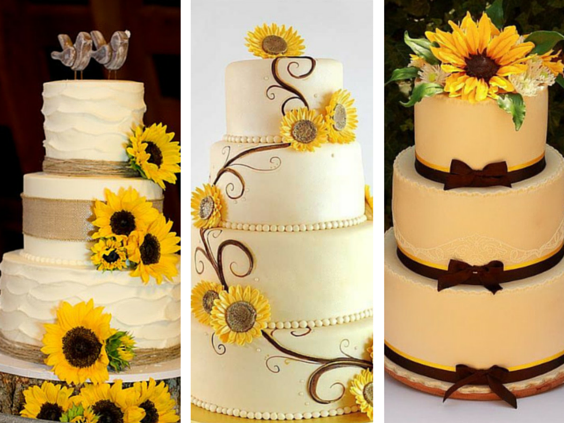 You can have a very rustic cake, with burlap stripes and a wooden cake topper, or a more traditional and elegant cake decorated with ribbons; you can choose to use either sunflowers made with sugar paste or real fresh ones. 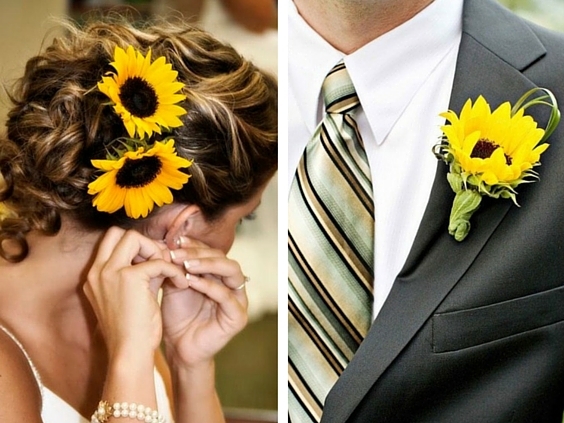 So, did you like these sunflower wedding ideas? Let us know in the comments below! 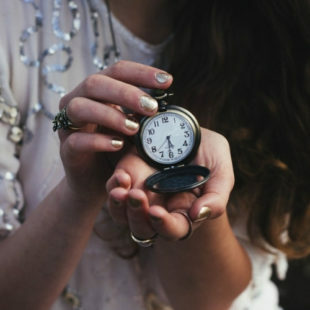 And don’t forget to have a look at our Pinterest board about this beautiful theme! And contact us for any information about our services of wedding design and styling, we will be happy to help you develop your favourite theme!